Rendell has seen job security become the primary consideration of any person with power in America--their own job security Most politicians and bureaucrats can see no further ahead than the next election, sometimes no further than the next press conference. Americans are rarely afraid of sacrifice and hard work when they mean building a better future, but when was the last time you heard of a leader of anything making a sacrifice for the greater good? The people can only win when they make it clear to the powers that be that making the right choices, even the hard ones, is the key to winning the next election. 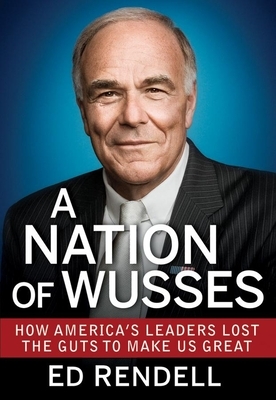 ED RENDELL served two terms as Governor of Pennsylvania (2002-2010) and headed the Democratic National Committee in 2000. Now a partner at Ballard Spahr LLP, and a senior political analyst for MSNBC, he also teaches at the University of Pennsylvania and is a regular on SportsNet's post-game live show for the Philadelphia Eagles.